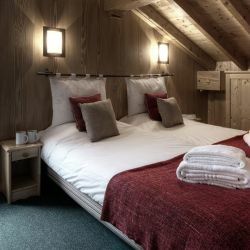 Chalet Brenettes is a cosy 8 bed chalet that is located in a quiet area on the way into Meribel. 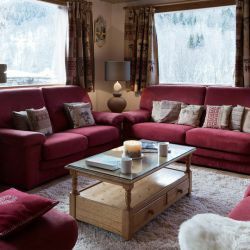 The chalet is spacious and open plan so it creates a lovely bright and airy chalet atmosphere. 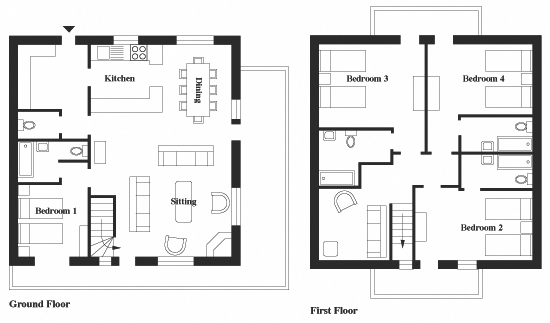 There are two living areas and one has a TV room so perfect for those who want to relax and curl up in front of a movie. 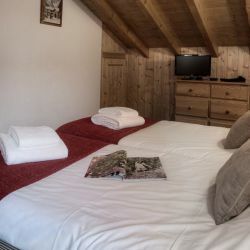 The chalet has plenty of Alpine style as it is a traditional wooden chalet. There is a large South facing sun terrace which is just perfect for watching the sun set over the mountain tops. 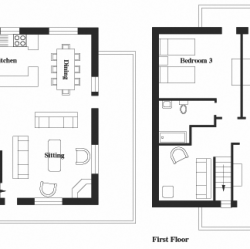 Each of the bedrooms are en suite and have a flat screen television. 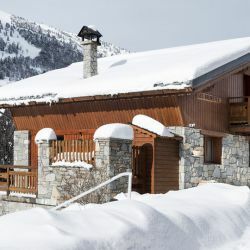 The chalet is an excellent choice for spending a ski holiday with family or friends. 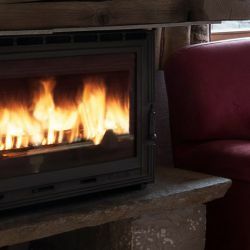 There is nothing better than chatting around the log fire with a cup of tea and some chalet cake at the end of a fantastic ski day. There is a heated boot rack to make sure your boots are nice and dry in the morning. There is also free wifi in the chalet. Located at the entrance to Meribel. There is a free bus service that runs to the lifts and resort centre so access to the skiing and apres ski is easy. A continental breakfast is provided for guests in the morning. 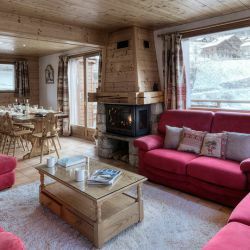 A homemade afternoon tea with coffee/tea, hot chocolate and vin chaud will be set up for you on your return to the chalet. The chalet hosts will prepare a three course evening meal (on six nights). THere is also complimentary quality house wine. A children's dinner can be served at 6pm if you prefer an early tea for your little ones. 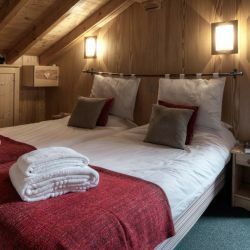 Prices are for exclusive use per chalet, per week on a classic chalet board basis. Where rooms are available prices will be shown per person, per week. 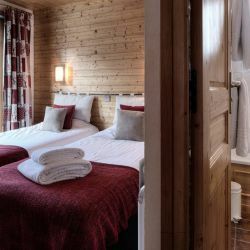 Weeks commencing 5th and 12th January 2019 include a free Meribel Valley ski pass (appropriate age catergory) for each party member of your group worth approximately £220.